Even in manufacturing facilities that are already highly automated, there are typically still manual processes that impact output, quality, and costs. 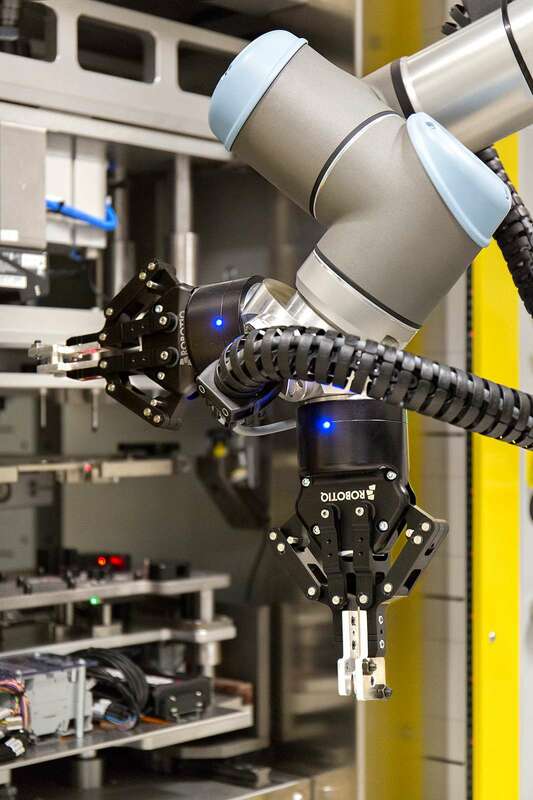 We recently presented a webinar on cobots in electronics assembly in conjunction with ECN magazine, where we addressed many of electronics manufacturers’ most pressing automation questions. Those include issues such as how to fit assembly robots into already jam-packed manufacturing floors, what additional processes offer the best ROI for automation, and how to keep workers safe around automation in tight quarters. 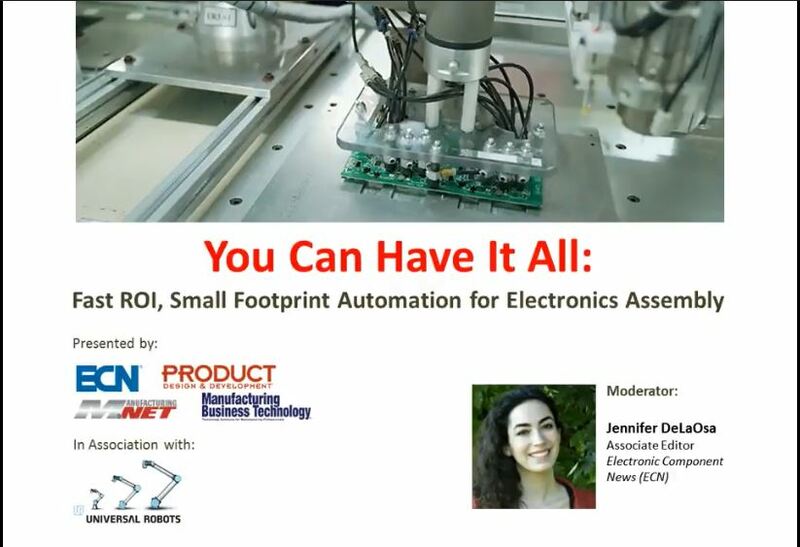 Webinar attendees learned how cobots—with their small footprint, flexible and safe implementation around workers, and fast ROI—can help fill those automation gaps. The archived webinar is available for viewing on demand so you won’t miss a thing. In the meantime, here are answers to some of the specific questions that came up from your peers who are already looking into how cobots can help them be more competitive. Can cobots carry out multiple-axis electronics assembly? A common need in electronics assembly is the ability to manipulate a circuit board in multiple axes—a situation that’s ideal for 6-axis cobots. 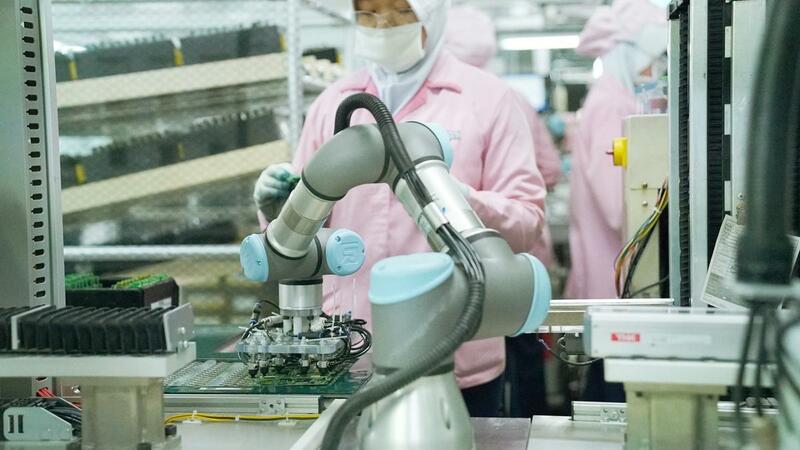 A cobot can take a board off an assembly line and install it into a chassis, which often involves inserting one edge with the proper orientation, then rotating the board down into the chassis and snapping it into place with appropriate force. The cobot can also put the cover on the chassis and even drive screws to close it up. Other ideal multi-axis applications for cobots include snapping apart paneled boards or inserting and removing boards from a test jig. Can a cobot work in collaboration with another cobot in applications such as a press-fit assembly? You could easily implement a row of robot cells, each performing a different task and handing the board off to the next assembly cell. Cobots’ flexibility and ease of programming mean they can be quickly redeployed to different tasks as production needs changed, and programs can be saved for common tasks so set-up time is minimal. Can you help with the complete integration of the cobot, a vision system, and end-of-arm (EOAT) tooling? UR cobots are sold exclusively through our distributors, many of whom also sell vision systems and EOAT tooling and have extensive integration skills and experience in the electronics industry. We’ve also developed a unique ecosystem of peripherals, accessories, and software that are pre-certified and integrated into the UR robots’ software. You can visit the UR+ online showroom to see the extensive list of what’s available. UR cobots are designed and tested to IEC 60001-6-4 for the protection of other equipment from the robot’s emissions of electrostatic discharge (ESD). It’s good practice to protect parts that are handled by the robot by taking measures similar to those required for human operators. This can take the form of ground straps attached to the end-of-arm tooling, taking into consideration the end-of-arm tooling materials and design, and using appropriate procedures for ensuring that the robot and parts to be handled are at the same electrical potential. As for protection of the robot from external ESD, UR cobots are designed and tested to meet the requirements of IEC 61000-4-2. The list of specifications to which our robots are manufactured and tested is available in the user manuals on the support portion of the Universal Robots website. 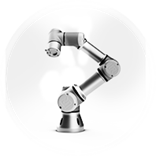 Have more questions about using cobots in electronics manufacturing? We want to hear them! You can also read more case studies in the electronics industry section of our website. And be sure to check out the webinar for the full story. Ready to get your team on board with cobots? Download our free ebook now!